A truly magnificent piece of classic English arts & crafts furniture. 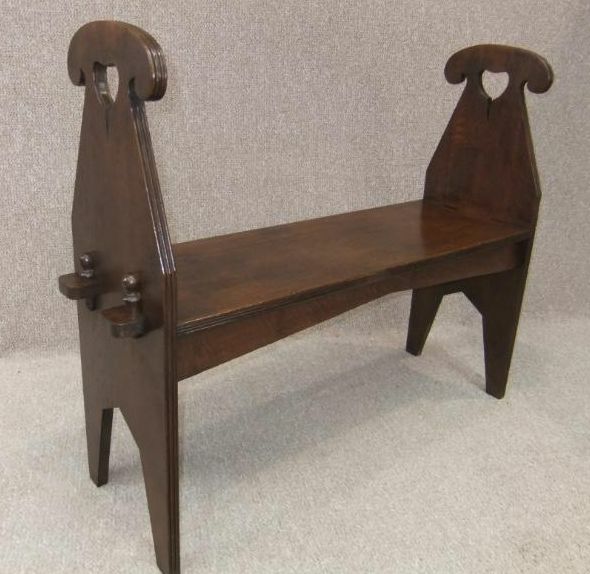 This beautiful solid English oak bench features a heart shaped design to top, and stylish shaped legs; ideal for any period property. The bench is in superb condition for its age circa 1890, and would grace any hall, conservatory etc.